Step 1: Select the Change Password option from the Security menu. Step 2: Enter the Current Password (If you are resetting your password enter the temporary password from the 'Reset password' email. 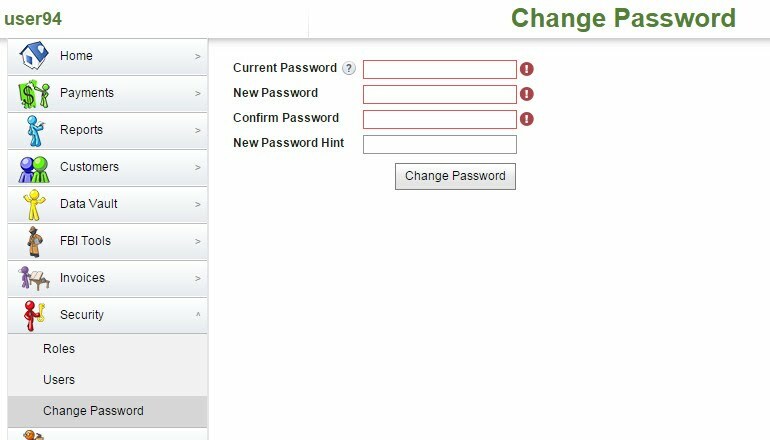 If you are changing your expired password enter you expired password). Step 3: Enter the New Password. Step 4: Confirm the password by writing again New Password. Step 5: Enter the New Password Hint, a reminder of the New Password for the user.